Delores Ann Beagle “Sugar”- Age 63, January 17, 2018. Preceded in death by her father, Paul Martin. She is survived by her husband of eight years, Roy Dale Beagle; children, Jason Brannon (Heather), Jessica Lewis, Jeffrey Beagle and Ann Mumaw; grandchildren, Allie, Levi and Brooklyn Brannon; sisters, Eva Sweet and Peggy Hendricks; brothers, Roy Martin and Eugene Martin. Sugar loved her family and would go above and beyond for her children and grandchildren. She loved fishing, the outdoors and working in her antique garden. She loved going to train shows and building trains with her husband. She enjoyed sitting by the water to ease her mind. Visitation will be 4-8 p.m. on Friday, January 19, 2018 and 10 a.m. – 1 p.m. on Saturday at Harpeth Hills Funeral Home. 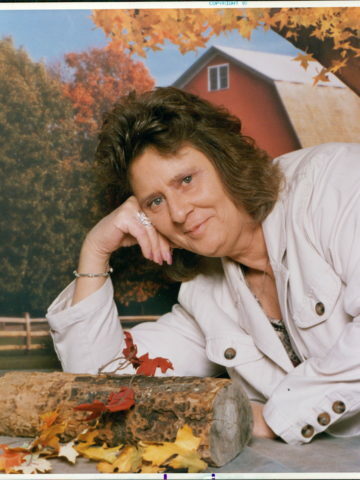 A Celebration of Life Service will be at 1 p.m. on Saturday at Harpeth Hills Funeral Home. Interment will follow at Harpeth Hills Memory Gardens. Oh, how I love Sugar…She was such a good person and worked for us at our store in Fairview and I just talked to her on the phone not too long ago. Sugar was a dear friend and she loved family. Just breaks my heart to know that she suffered so much but now I know she is in Paradise and is suffering no more…Rip my sweet friend SUGAR!!! One of the best!!! Prayers for her family for peace and comfort…God bless y’all. So very sorry to hear of your loss. I know she had struggled for a few years and now she is free from those issues. Bless your hearts. Delores and I were good friends at Harpeth Valley Elementary School in the mid- 60’s. It was a simpler time as we enjoyed laughing and playing on the playground, hot lunches in the basement cafeteria, and the stories our teachers read to us. Because our names were close in the alphabet, we were often sitting near each other. Delores was pretty as a child and kept that beauty all her life!! My sympathy to all her family. Our family met Sugar and her husband, Dale, and her daughter, Jessica, years ago at a model train event in Clarksville, Tennessee. She was a sweetheart then and remained one every time I saw her. We will miss seeing her and feel more deeply for the family she has left behind, but she is at rest now.